You can’t go to Iceland and not eat fish or seafood at some point, its an Island! 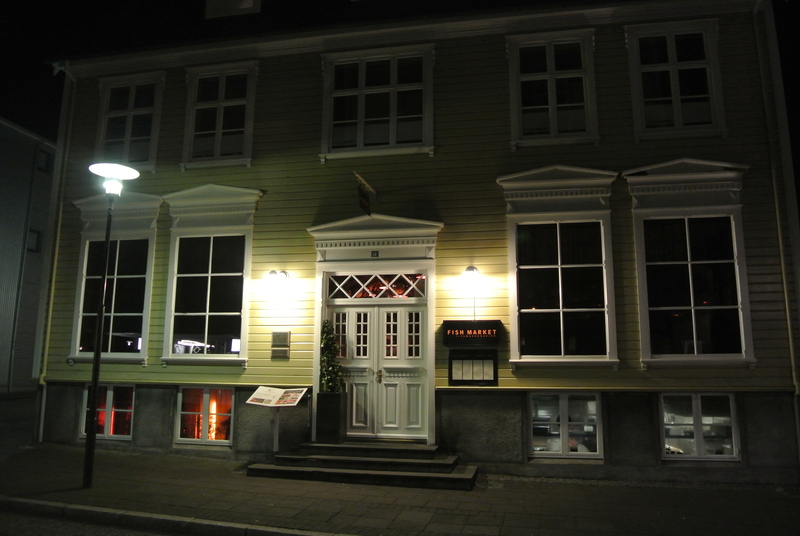 Another recommendation by our trusted rentee was Fishmarkadurinn (or Fish Market). Located in a coastal-looking house in the middle of downtown Reykjavik, we were seated at the kitchen bar, a perfect spot to watch all the action! 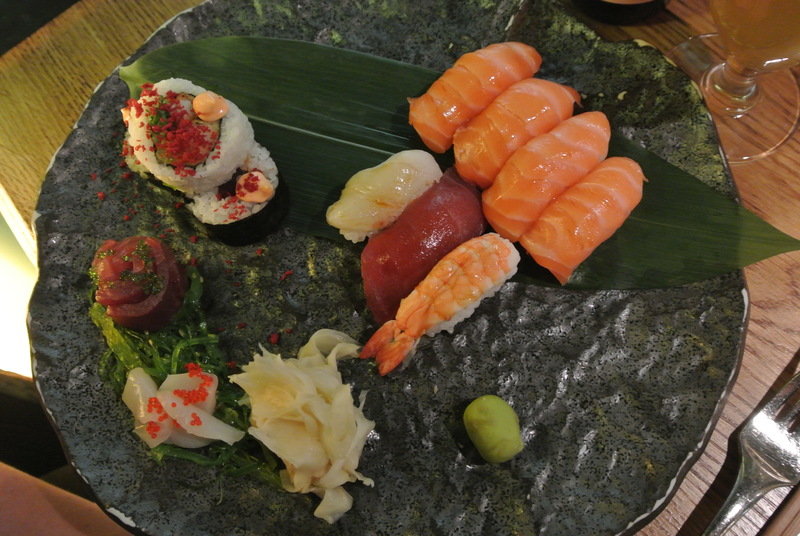 Now, I don’t associate sushi with Iceland but my friend I decided she was craving sushi, I on the other hand stuck with salted cod….it was so meaty and buttery! But I think the best part was dessert. We ordered the traditional apple cake as well as something called Muchi. It was some sort of custard texture and their version had a distinct lemongrass flavour infused. It was the highlight of the meal and a perfect way to end our last meal in Iceland. 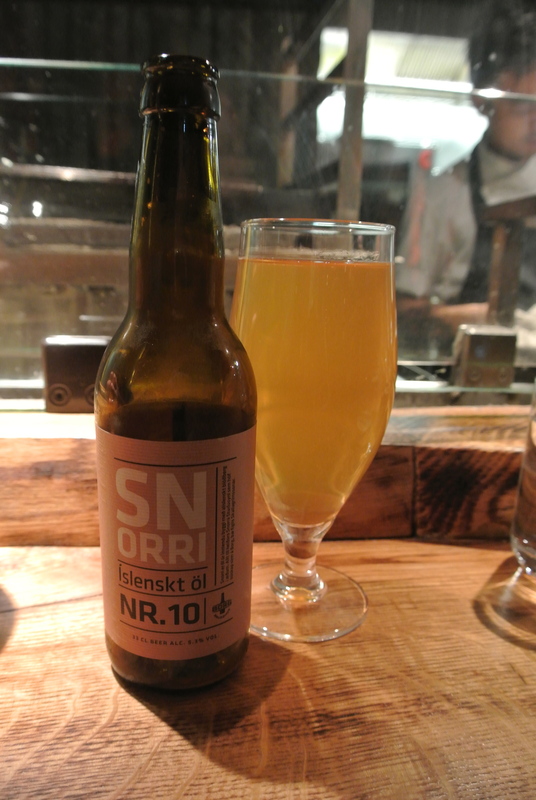 Snorri beer – locally crafted beer. 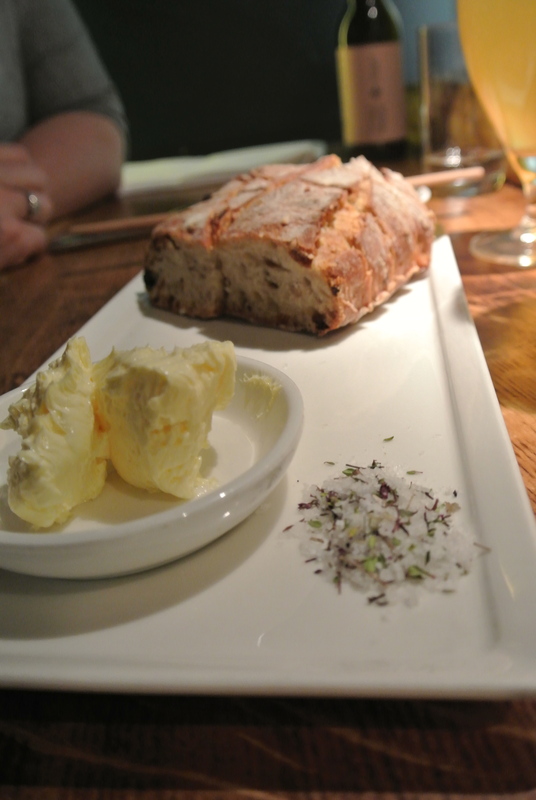 The “bread basket” – served with butter and salt. 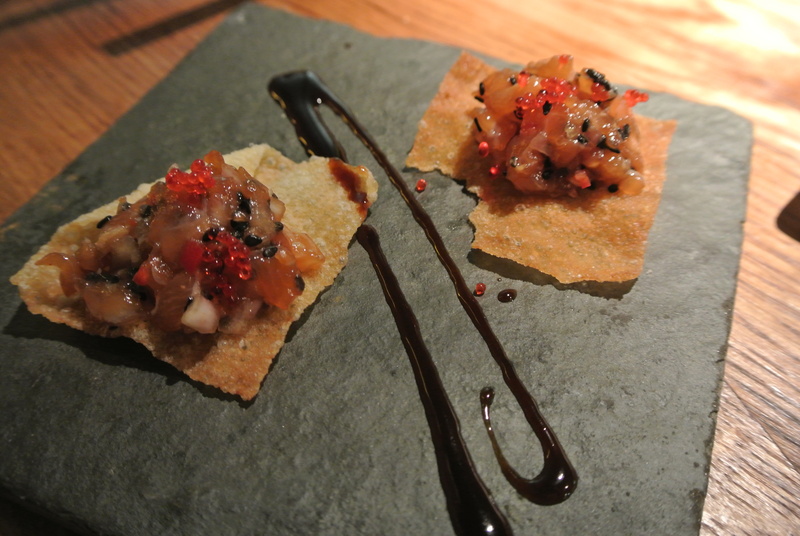 Compliments of the chef – an amuse bouche to start the meal! 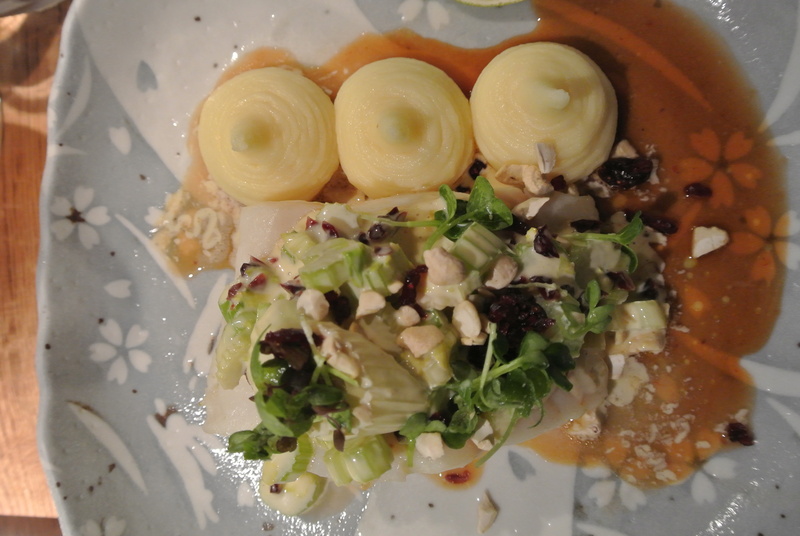 My entree – salted cod with a cranberry and celery salad and potato puree. 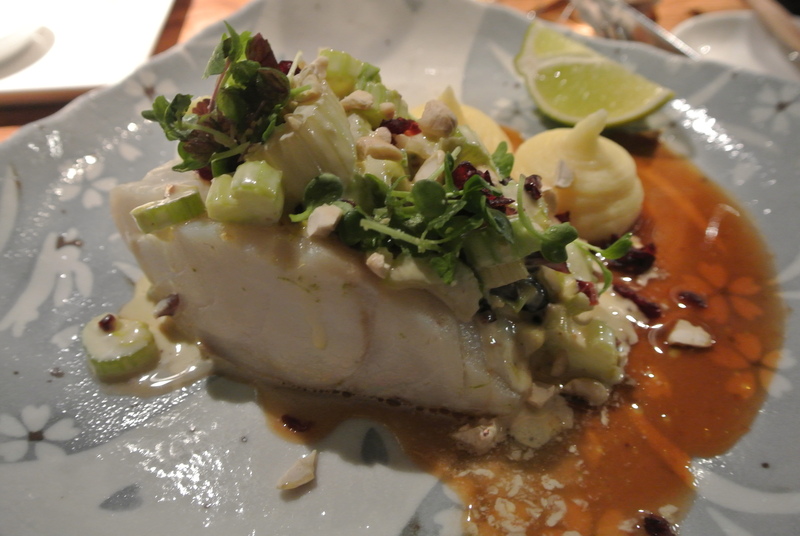 Such a meaty filet of cod. 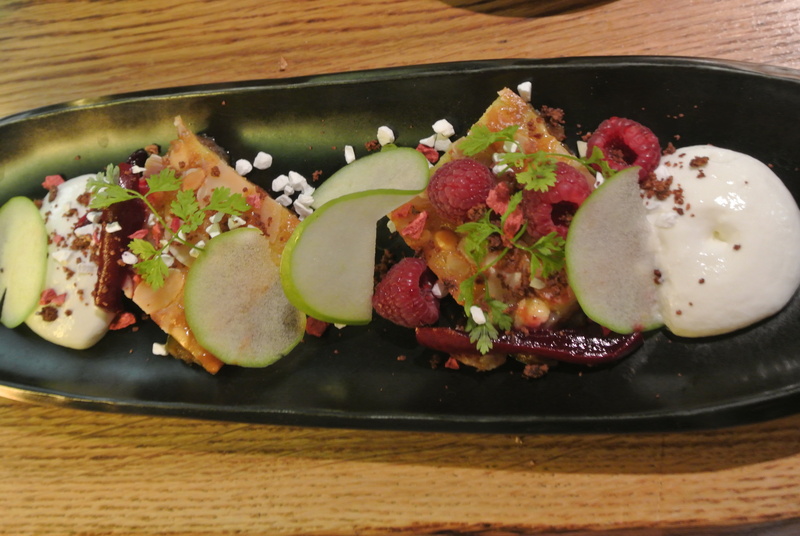 Apple cake with foamy buttermilk, pears, beet root syrup and white chocolate. 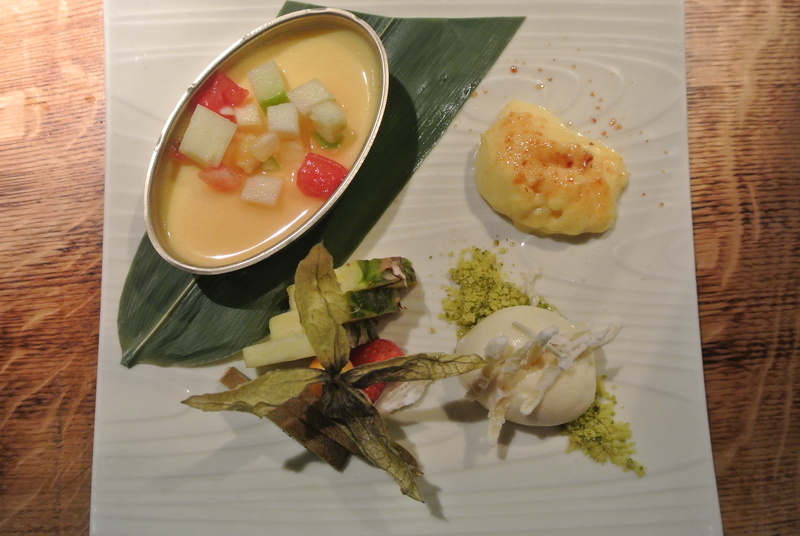 Muchi – ginger lemongrass muchi with creme brulee, ginger confit and lemongrass ice cream! 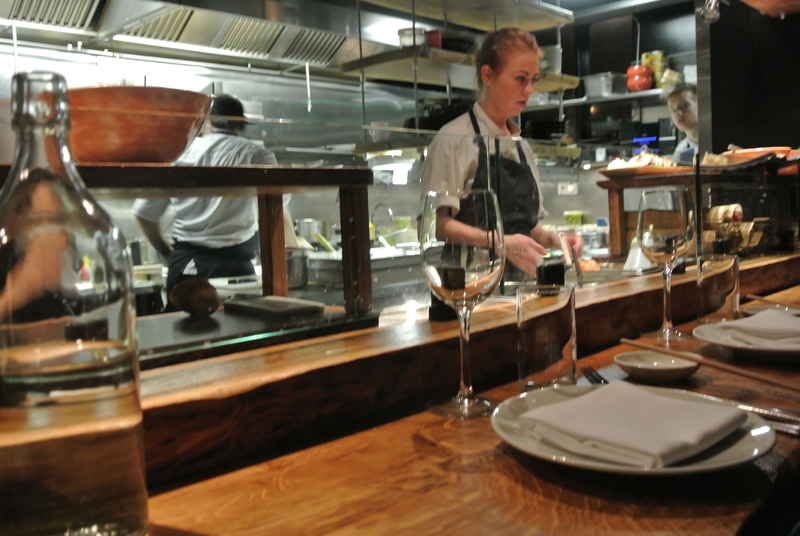 Our view of the kitchen from the chef’s bar – watching the kitchen is a show in itself!